I'm back... I know... I have a habit of making a disappearing act don't I? I officially pulled Sophie out of her photographer retirement and shot some brand new outfits for you guys! After spraining my ankle on a terrible level two months ago, i'm sort of back up and (not) running and can finally hobble a bit in all of the amazing shoes waiting to be shown off in my closet. 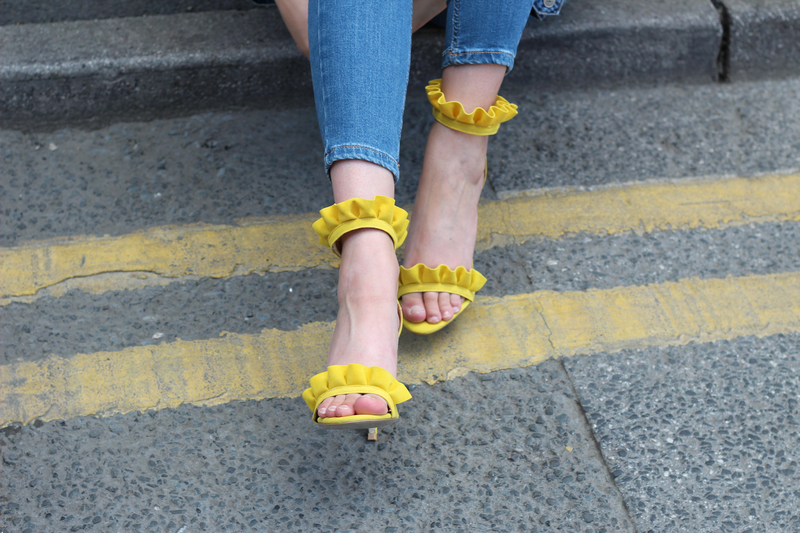 I snapped up these absolute baes about a month or so ago from Ego and i've been absolutely devastated that I couldn't wear them for such a long time - so typical! 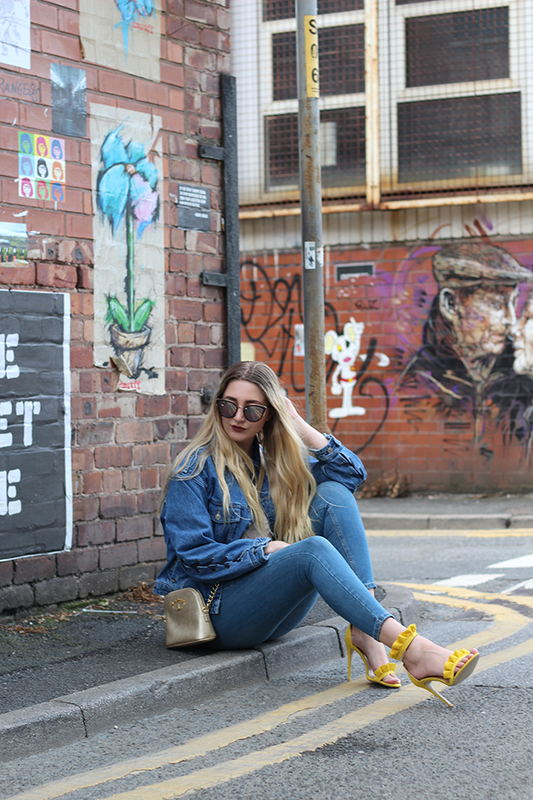 Yellow is taking over right now and while it can look a bit silly against blonde hair, there's no stopping us when it comes to accessorising (and by that, I mean SHOES!). Who doesn't love a new excuse to pick up a new pair? 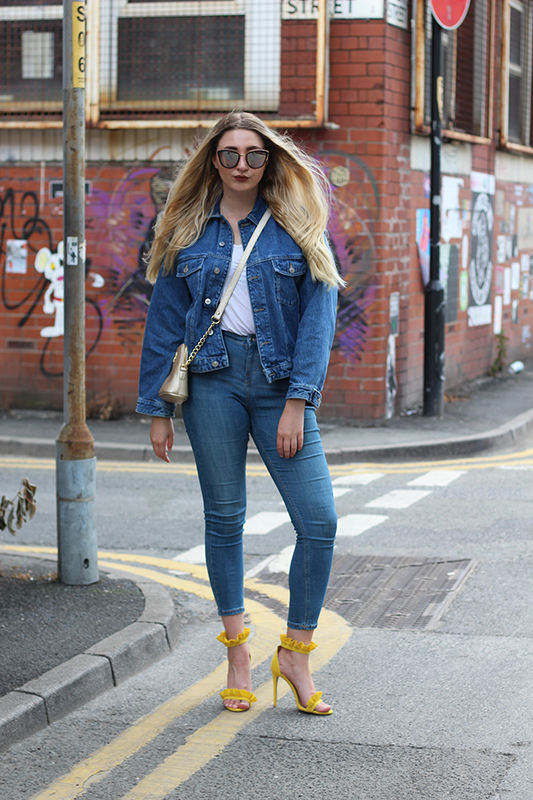 I think these 'Florence' heels have actually taken over Instagram and who can be surprised? Look how pretty they are! I'll happily take them in every colour thank yaaaa. 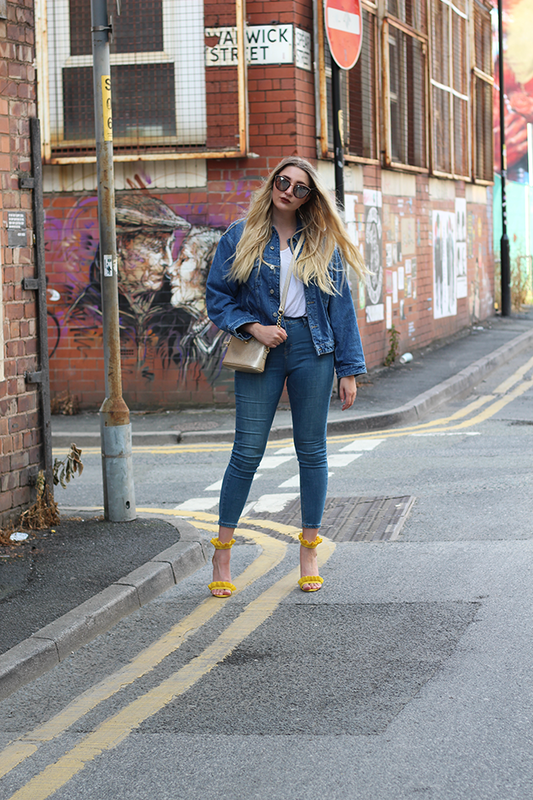 Not quite sure how to style up the super bold hue? 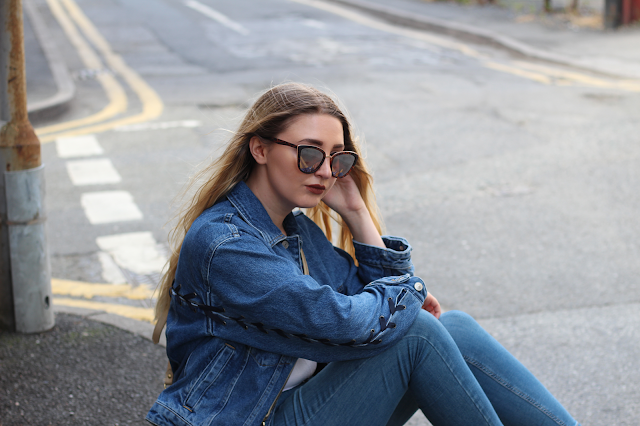 Play it safe with denim overload to keep it casual.